This week’s theme for #MusicMovesMe has been selected by our guest conductor, Michele from Musings & Merriments. There really are quite a few songs out there with numbers in the title. And it’s strange, while I really never watched Sesame Street as a child, whenever I think of numbers, I think of The Count from Sesame Street. "Love Me Two Times" is a song by the American rock band the Doors. It first appeared on their second studio album Strange Days. It was edited to a 2:37 length and released as the second single (after "People Are Strange") from that album, and reached number 25 on the charts in the United States. "Gimme Three Steps" is a song by southern rock band Lynyrd Skynyrd released on its 1973 debut album,. It was written by Allen Collins and Ronnie Van Zant. “Four Horsemen” is from The Clash’s third studio album, London Calling. "It's Five O'Clock Somewhere" is a song performed by Alan Jackson and Jimmy Buffett, and written by Jim "Moose" Brown and Don Rollins. It was released in June 2003 as the lead single from Jackson's 2003 compilation album Greatest Hits Volume II. “A Dozen Roses and a Six Pack” - written by Cole Swindell. Swindell has written singles for Craig Campbell, Thomas Rhett, Scotty McCreery, and Luke Bryan, and has released two albums for Warner Bros. Records Nashville. He has released nine singles, of which seven have charted within the Top 5 of Hot Country Songs and/or Country Airplay. "Seven Nation Army" is a song by the White Stripes. It was released as the lead single from their fourth studio album, Elephant, in March 2003, and reached number one on the Alternative Songs chart —maintaining that position for three weeks. "867-5309/Jenny" is a 1981 song written by Alex Call and Jim Keller and performed by Tommy Tutone that was released on the album Tommy Tutone 2, on the Columbia Records label. It peaked at #4 on the Billboard Hot 100 chart and #16 on the Billboard Top Tracks chart in May 1982. The song caused a fad of people dialing 867-5309 and asking for "Jenny". "9 to 5 (Morning Train)" is a popular song written by British songwriter Florrie Palmer and recorded by Sheena Easton in 1980, becoming her biggest hit. It peaked at number three in the United Kingdom in August 1980 and was certified gold. It was released in the United States in February 1981, where it reached number one, becoming Easton's only number one chart-topper. "Ten Years Gone" is a song by Led Zeppelin from their 1975 album Physical Graffiti. Record producer Rick Rubin has described the song as, "A deep, reflective piece with hypnotic, interweaving riffs. Light and dark, shadow and glare. It sounds like nature coming through the speakers." And there you have it! Ten songs with numbers in the title. 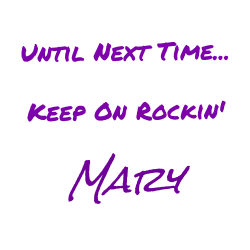 Thanks for playing along and counting with The Count! Special thanks to The Count for making an appearance today! This was a lot of fun and I hope that you enjoyed it as well. What other songs with numbers in the title do you enjoy? Don’t forget to visit the other bloggers in this musical bloghop! Also, if you haven't stopped by the most recent battle of the bands to vote, please do so. We are in tournament mode so every vote matters. Literary Gold is being revived! Fun presentation, Mary! ☺ Excellent song choices, as well. Have a great week. This was a lot of fun to put together. Each time I wrote one of the numbers, I heard the counts voice in my head counting away. I've been looking forward to this one all week :) Have a great week! I'll be stopping by your page soon, as I definitely want to vote in your battle. Love the Count. Thanks for sharing your list. Very lovely. Have a wonderful Monday. "For the swingin'est sound around, it's the Count's Countdown!" My youngest brother, who's almost twenty years younger than I, used to watch "Sesame Street" (okay, he wasn't actually watching, because he was only a couple of months old) and I used to watch with him. 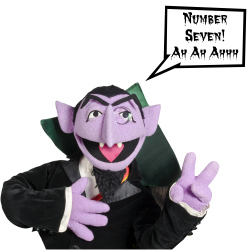 The Count's Countdown was always my favorite segment. Like with Mike, I have to compliment you on lining the songs up in numerical order. Great set! BRILLIANT!!! I love it! The idea of using Sesame Street's Count is fabulously fun! Very cool. I hadn't heard Sheena Easton's "9-5 (Morning Train)" in an incredibly long time and it sounded so good! I'm so glad you included that one! The other songs I wasn't familiar with but the one I really liked is Cole Swindell's "A Dozen Roses and a Six-Pack". That is a good song. I like the premise and it's a good story (as many country songs often are). This was seriously one of the funnest posts I've done in a while. 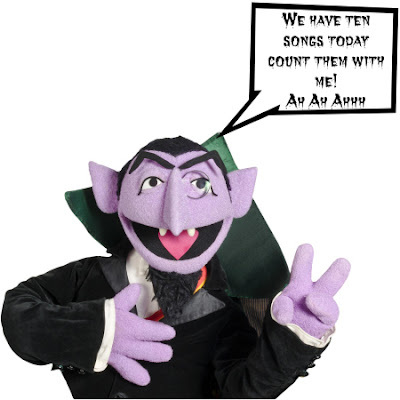 I laughed and giggled the whole time adding those pics of The Count. I don't think 8675309 is available for anyone anymore. It's one of those numbers they instantly block. Too bad, huh? But your story about psychic hotline is HILARIOUS! I had a similar situation after I changed number earlier this year. All sorts of people calling looking for the previous owner of the number - including her mother! So you know the phone company does not redistribute a number until it has been disabled for 90 days. So when I started getting text messages from some guy 3 months after I got the phone, you know she had not had that number for a good 6 months. I asked the guy who he was. "It's me, Dalton, your lover". I called him out on his BS and told him that he must not love me very much as it had been 6 months without him realizing this wasn't her number any more. He kept going on and on about how much he 'loves me'.. I kept telling him I am not who he thought I was. Then he called me. Now, you know I have a fairly distinctive voice. Yet, he STILL thought I was this other person playing games. He sounded a bit distraught, and told him AGAIN I am not the person he was looking for. One week later, he called again. I forced the call to voice mail. When I played it back, it gave me his full name. So I sent him a text and told him "Now that I have your FULL Name I am telling you for the very last time. I am not the person you think that I am. Your messages are creepy and stalkerish. Contact me again and I will be pressing charges" Haven't heard from him since. My past 2 days have been CRAZY busy. Got up early yesterday and worked until just past 2am. I needed to get up early again today because the landlord didn't make it over yesterday, and I wanted to be sure I had clothes on if they showed up today. Accidentally overslept by an hour, but thank goodness the workers didn't get here until nearly 2pm. Just have a few more things to do here tonite before I call it a day, and then I am heading to bed. I'd love to sleep in, but it's going to be a scorcher tomorrow, so I want to get as much done before the day heats up - I'll put my feet up/nap/snore while it's hot! Fun post! That was a great idea getting The Count to help. I thought "Love Me Two Times" was a bigger hit than that. I guess it just made the top ten on our local radio station. Nice array of artists and genres. OMG! I LOVE THIS! 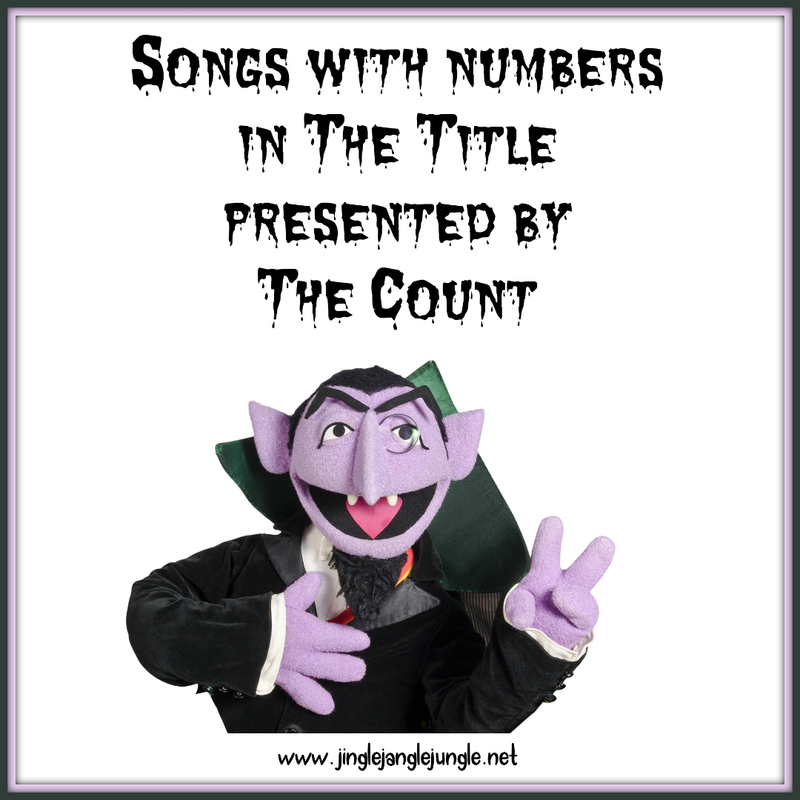 I love the Count made his appearance to play along with us at the 4M's. He knows his numbers for sure and the fact he sang a numbers song too. Oh, this is too much! Thanks for suggesting a terrific theme this week. I figured some of the posts would be count downs or count ups, but didn't think The Count would join us. How clever. I didn't know the White Stripes song, and I think I have a new favorite now (yes, even more than the Led Zepplin song). Yes, this theme was so much fun. Hope you had a great week. I'm glad that I could make you day a bit brighter by allowing The Count to present my post. Still working on my post for Monday. Have a great weekend!